Use our Outlook add-in tools to save time and be more productive in email. "I needed a way to convert emails to PDF. I found it." Make your email life easy even if you’re too busy to manage your inbox. Overflowing mailboxes can be a challenge to manage. Be more productive with our professional line of Outlook add-ins and tools. There are add-ins to help you to automatically save emails and attachments as PDF, add-ins to organize your emails, add-ins to automatically send out emails on a schedule and many more. 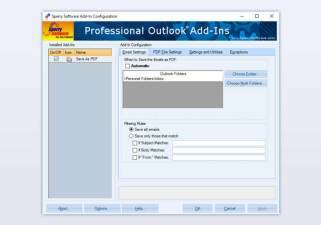 Explore our extensive line of the best Outlook add-ins. These powerful utilities fill in the gaps in Outlook, allowing you to automatically print, save emails as PDFs, schedule emails, prevent mistakes, manage your rules, and much more. See our Office 365 solutions that work with your Outlook 365 account, but operate from our servers. Unlike our Outlook Desktop Add-ins, these tools are subscriptions and charged monthly or yearly. Can’t find what you need with Outlook? Sperry Software provides customized enterprise-class solutions to fill your particular Outlook needs. We’ve offered this service for years and have developed solutions for centralized control. All of our tools come with free upgrades and free tech support for two years. 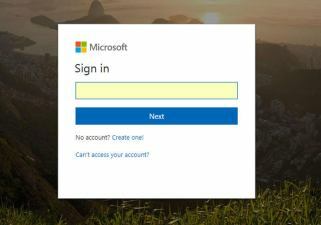 Get started by viewing our complete list of tools for Outlook. Get started by viewing our most popular add-ins.